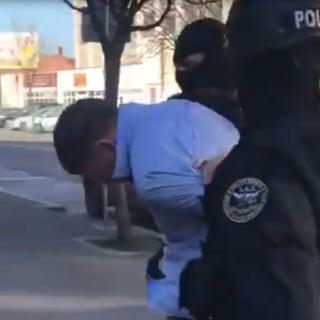 One of the UK's "most wanted" suspects has appeared in court in Romania following his arrest two days ago. Shane O'Brien, 31, who is wanted for questioning about the death of Josh Hanson in London in 2015, was arrested in Cluj-Napoca, Transylvania. He was remanded for 15 days at the town's Court of Appeal on Sunday for legal processes to begin to bring him back to the UK, the Met said. The National Crime Agency tweeted a video clip of him being arrested. The NCA had worked with the Met in the hunt for Mr O'Brien. He was made the subject of a European arrest warrant after disappearing when Mr Hanson was attacked at the RE bar in Eastcote. A red alert was issued by Interpol for information leading to his arrest and prosecution. Mr Hanson, from Kingsbury, north-west London, was pronounced dead at the scene on 11 October 2015.